A spiritual journey filled with verve and creativity. 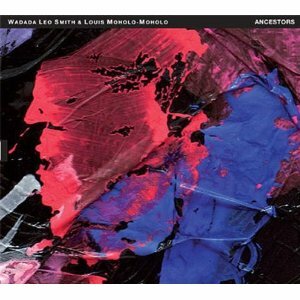 Surprisingly the first collaborative meeting between Wadada Leo Smith and Louis Moholo-Moholo. Both have worked together in various combinations but never alone - together. So this meeting and document, Ancestors, has a real sense of excitement with possibilities that are endless and intriguing. On the opener, "Moholo-Moholo/Golden Spirit," both artists give their respective upbringing's credits. Leo Smith's southern roots provide a blues-like hue tied next to Moholo-Moholo's rich African tradition. The introspective spirit and deeply passionate tones create an ominous texture that slowly pulls you into their world. "Jackson Pollock-Action" is more a free flowing experiment between the two musicians, finding various jumping off points that create short motifs that shine with each sporadic note. The epic title "Ancestors" is a suite of five improvised movements. 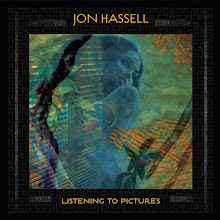 Part 2& 3 add touches of melody and groove intertwined with their improvised moments. While the closing movements (4& 5) are a more determined piece of African percussion and poetic adventure. Leo Smith's fast and steady pace in the begining is a powerful harmonic force only tempered in the final movement by Moholo-Moholo's vocal tribute to greats past and present. In the past twelve months Wadada Leo Smith has been an inspiring form. A stellar selection of diverse releases that are all worth digging into. Ancestors is no exception. Highly Recommended.